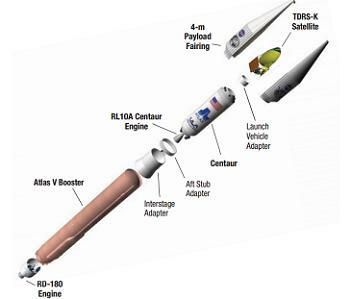 NASA’s latest Tracking and Data Relay Satellite was carried into orbit atop an Atlas V rocket Wednesday night. The launch of TDRS-K, the eleventh satellite in NASA’s TDRS programme, occured at the start of a 40-minute window at 01:48 UTC Thursday morning (20:48 EST on Wednesday). 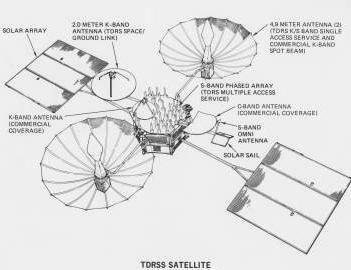 The Tracking and Data Relay Satellite system (TDRSS) consists of three satellites plus on-orbit spares. 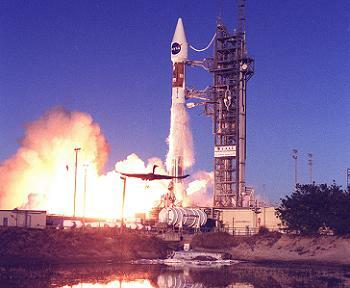 Prior to TDRS-K, ten satellites have been launched, of which seven remain operational. Used to relay communications, scientific data, telemetry and navigation data and commands between spacecraft and rockets and their controllers, TDRSS supported the Space Shuttle, and continues to support the International Space Station and the Hubble Space Telescope, amongst other missions. 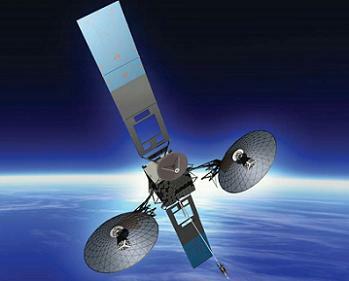 The satellites are also rumoured to be used by the US National Reconnaissance Office to relay data from reconnaissance satellites, augmenting the NRO’s own Satellite Data System spacecraft. TDRS satellites are controlled primarily from a ground station at White Sands, New Mexico, with a secondary station in Guam used to control satellites outside the primary station’s line of sight. Read more: ULA Altas V successfully launches with TDRS-K | NASASpaceFlight.com.